I’ve already written in the past few days about the Twelve Days of Christmas. Since then I have had another email, from a different company wanting to make sure that I knew about their “amazing 12 Days of Christmas sale”! The thing is we have still not reached the actual twelve days of Christmas. Today, in fact, is the first Sunday of Advent. I noticed that the wife of a Presbyterian minister friend had been tweeting about how Advent would be more significant to her if she was an Anglican, although she was glad that her husband was playing Handel’s Messiah. I don’t know how many non-Anglican churches celebrate the season in their services: no doubt plenty of non-Anglicans buy chocolate calendars and plenty have their Advent wreaths at home. Advent is a season of waiting. Christians relive the sense of anticipation of the first coming of Christ. At the same time they remind themselves that this is still a time of waiting – for his second coming. 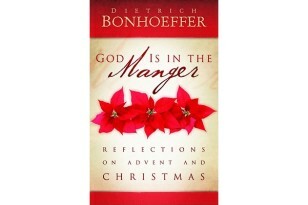 One of my daughters gave me a book of Advent reflections from Dietrich Bonhoeffer. His prison experience under Hitler seems to have intensified his awareness of the theme of waiting. In a letter to a friend he compared the waiting and hoping in prison to the waiting and hoping of Advent. The only way the waiting ends is when the door is opened – from the outside. Previous Post Psalm 130 – a little counterintuitive? Next Post Advent: who best waits? Thank you Alan! We are part of the “Non-Anglican” club that observes Advent at home. We make a personal effort to join the rhythm of the ecumenical calendar and find that it hightens the anticipation of Christmas day and brings the attention to Jesus despite the distractions!